As our world becomes more mobile, so do our hobbies, and that is certainly the case when it comes to PC gaming. 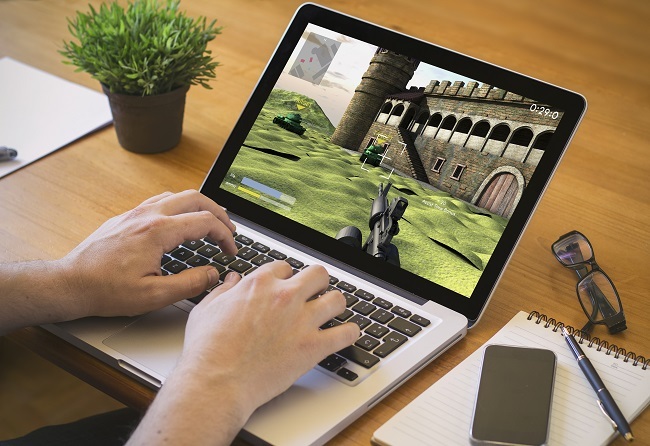 Many gamers no longer prefer being chained to a 50-pound desktop gaming rig in one location and prefer the flexibility that comes from being mobile with a gaming laptop. Pre-built laptops, however, often skimp on parts to increase battery life and reduce weight, making them unsuitable performance-wise for gaming. A gaming laptop that is custom-built with hand-picked laptop parts is ideal. Here are some things to consider when selecting laptop parts for a gaming laptop. Any computer – desktop or laptop – is only as good as its weakest part, and a graphics card should certainly be a priority in a gaming laptop. Most new games would run a graphics card in a pre-built laptop ragged, but gamers who are custom building a gaming laptop should go for the best graphics card they can afford. In today’s market, a graphics card like the Nvidia GeForce GTX 800 series is the bare minimum choice for an adequate gaming laptop, while gamers who are willing to pay a little more should consider 900 series or 10 series. A 1 TB hard drive will give gamers a good amount of storage, but speed is a factor with games now and a slow, standard HDD won’t do the trick on its own. Anyone who is picking out laptop parts for a gaming laptop should consider pairing the HDD with a smaller but faster solid state drive to keep games running without lagging frame rates. Let’s face it – parts for gaming laptops will be expensive. But the idea of going with older parts now with the plan of upgrading down the line is not a certainty when it comes to laptops. Building a gaming laptop with parts that are already older and less powerful than what is already on the market is a way to build a gaming laptop that is obsolete in a short time. It will cost more to get the top-of-the-line laptop parts, but gamers who don’t skimp on these important components will have a gaming laptop that lasts a lot longer. Feel free to contact us for any other questions about laptop parts for gaming laptops. If you have been having trouble with your laptop computer, you might be thinking about buying a new one. After all, with prices on laptops being lower than ever before, it might seem like it will be cheaper and easier to treat yourself to a brand new computer versus trying to fix it yourself or hiring a professional for laptop repair. However, before you go out and buy a new computer, you might want to think about the option to repair your existing model instead. Obviously, if you have been unhappy with your computer and have been wanting a new one anyway, now might be the time to replace it. However, if you were happy with your computer before it started messing up, you might find that fixing it is your best option. For example, you might be able to fix your laptop on your own. Some things are pretty simple and can be fixed by simply doing a factory reset on your computer. If your computer is bogged down by a lot of programs or is simply running slow, or if you would like a like-new start without having to buy a new computer, this can be a good option. Even more complicated issues can also often be repaired with ease. A professional who is experienced in computer repair can help with replacing cracked screens, repairing damaged keyboards or touchpads, getting rid of viruses, uninstalling old software and installing a new operating system or new software and more. These services can be surprisingly affordable and can be cheaper than buying a new computer. If you would like to find out more about repairing your laptop rather than replacing it, contact us at PC Geeks so that we can tell you more about our services. The motherboard is the heart and soul of your computer. 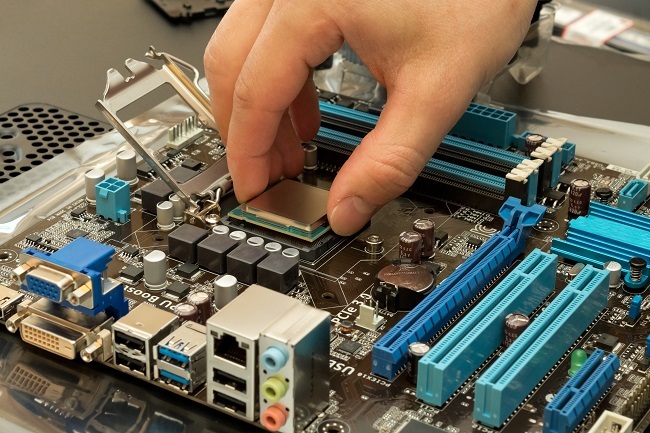 A lot of errors can occur with your computer, but replacing your motherboard should be a last resort for repair purposes. Motherboard Repair is complicated, especially with frequent changes in technology. Before you decide to replace your motherboard, rule out other factors that could cause a problem. Here are five things you should look for before considering replacing your motherboard. You may get the notion to open your hard drive and poke around to attempt to fix or analyze a few problems, but before you risk doing more damage to your computer, analyze your system and the settings of your applications. These two tasks can only be rendered if you can boot your computer correctly. Sometimes your computer enters sleep mode, which is not an issue or problem with your computer. Sleep mode can make your monitor’s screen black or blue. Striking a key on the keyboard or moving the mouse will take the computer out of sleep mode. This status occurs when there is inactivity on your computer for a certain amount of time. Changing this setting is completed by changing your computer’s power options. You may have installed a program that conflicts with other software, causing error alerts on your computer. A simple fix for this situation is system restore. Choose a restore point you feel your computer was working properly, and restore your computer. If you are experiencing many error alerts or storage behavior from your computer, factory reset your computer. This reset will restore your computer to its out-of-the-box state when you purchased it. Loose cords and external connections can cause computer problems. A loose power cord can cause computer problems, such as shutting down due to lack of charge or improper charge. Make sure all cords and attachments are tight and secure. External hard drives, flash drives, and booting CDs are all things that could prohibit your computer from starting correctly because the computer could be trying to boot from one of these devices. If you can’t successfully boot your computer, turn it on and listen for a series of beeps. Your computer can tell you what the problem is with a series of beeps. Four beeps distinguish issues with parallel or serial ports and followed by four, three or two more beeps. If there is a problem with your motherboard, you will hear one beep following five, four, or three beeps. 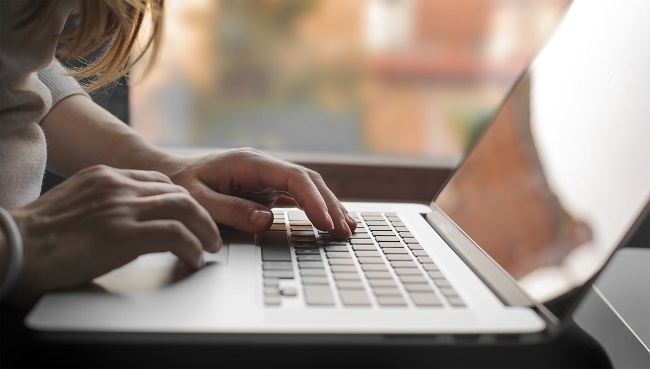 If you are tech-savvy, you may be comfortable checking your computer’s hardware. If not, you may want to take it to a professional. If you are inspecting your hardware yourself, the first thing you should check are plugs, cables, and wires. They need to be securely in their designated location. Next, you need to check for damage that stands out, such as broken wires and burnt items. If you have extra computer parts lying around, change them out to see if some of your computer’s issues improve. Don’t attempt to make repairs on your computer if you are not familiar with the inside of a computer; this could cause further damage that could be expensive. If you have an existing warranty on your computer, now would be the time to use it. If not, you can take it to a professional computer tech and have them make the necessary repairs. Contact us today to learn more about your motherboard and available options.